We guarantee our plant material for 1 year. This guarantee is contingent on proper care. Any claims for replacement must be accompanied by original receipt. We will replace the plant but any difference in price will be the responsibility of the customer. If you choose to take a credit it may only be used for trees and shrubs. We do not issue replacement for plant material until June 1st. We also strongly recommend the application of an anti-desiccant on evergreens and broadleaf evergreens in late November, early December and again in February or early March. ​ are guaranteed only till December 31st. of the year purchased. We don't replace replacement plant material. 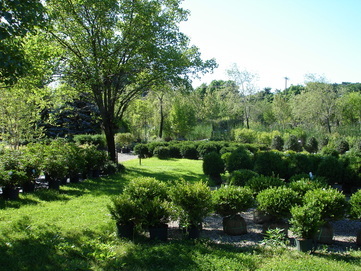 Watering is an essential part of the process for successfully establishing newly planted trees and shrubs. After planting, all plant material should be thoroughly watered. The size of the plant material will determine the length of watering time. 1" Caliper.......... 1 hour 15-30 minutes each time you water. When you have finished planting, water immediately. Place a hose in the basin and turn the water on a trickle (about the size of your pinkie finger). Let the water run for 15 minutes to 4 hours depending on the size of the plant material. Allow 3-4 days between waterings. 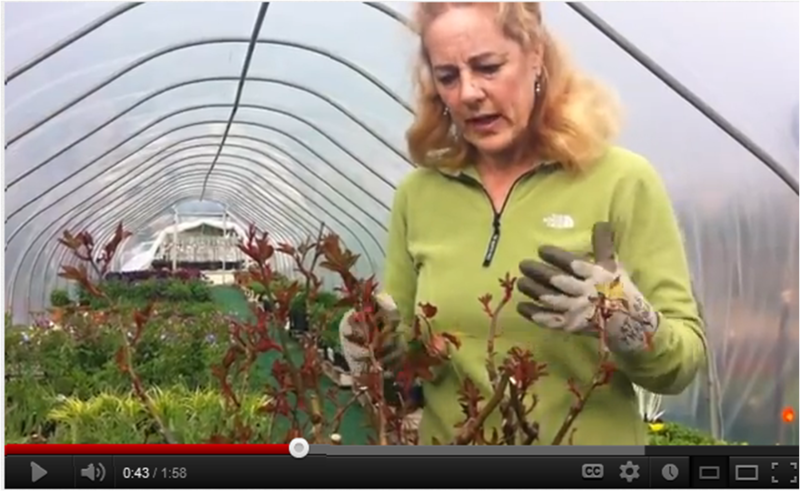 On the 3rd or 4th day, go out to the plant material and by using your index finger push about 1-2 inches into soil. If you don’t feel any moisture its time to water. If moisture is still present, leave it and check next day. Continue to check until its dried down 1-2 inches. Then repeat watering process. This will be weather related. If its sunny, windy or hot you will need to water more frequently than if the weather is cloudy and cool. When soil is kept wet from watering too often, oxygen cannot reach the roots. All plants need oxygen and water in order to thrive.We also recommend using a root stimulator for the first 2-3 waterings, then monthly after that for the first growing season. Generally speaking, rainfall will not be sufficient to water plant material for several growing seasons. They will rely on you. If any plant material you have planted seems to be failing please call at any signs of stress. Don’t wait! The most common error in tree and shrub planting is planting the rootball either too deep or too high. To avoid this begin by locating where the trunk flare begins. Soil may have been pushed up over trunk flare due to digging processes. Gently remove soil to expose flare. Measure from this point to the base of the rootball. This will give you the measurement for the depth of the hole. Dig the hole 1-2” less than this measurement to insure that the flare will be slightly above the grade level. The width of the hole should be 2-3 times wider than the size of the rootball. So in general the hole should be twice as wide and just as deep as the rootball. Carefully set the plant in the hole making sure the rootball rests on firm undisturbed soil. When the plant is properly set, remove the strings and cut the burlap off down to the top of the wire cage. If possible remove the top third of the wire cage. This could be accomplished with bolt or wire cutters. If the rootball is in danger of falling apart leave wire basket intact. When back filling around the tree or shrub use the existing soil. If soil is in poor condition use 2/3 of existing soil and mix 1/3 of compost or a planting mix. When hole is filled, tamp down gently to remove any air pockets. Air pockets may also be removed by watering the soil halfway through the backfill process and allowing it to drain. Smooth the surface of soil making sure the trunk flare is exposed and rootball is not covered with soil. Build a saucer near edge of hole to retain water. This will allow water to soak down to the roots and avoid water run off. The saucer should be removed before ground freezes. This keeps water from pooling in saucer and freezing and thawing next to the trunk. Mulch may be used at this time. 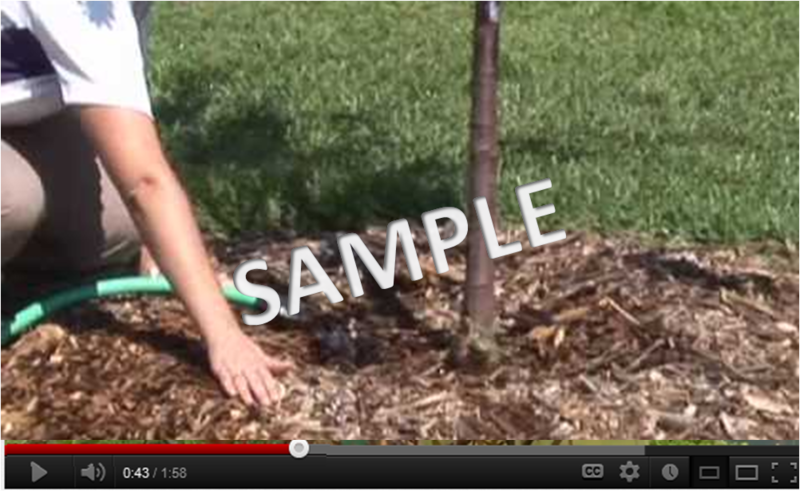 Mulch should be placed in a wide band no more than 2-3” deep tapering to but not touching trunk or base of plant. Mulch piled up next to trunk or base of plant can cause rotting and entry points for pests and diseases. There are varying opinions on this subject but most experts agree that staking is not necessary for all trees. If rootball is not stable in the soil, or the tree is planted in a windy site, stake the tree as low as possible to allow for stability while still allowing the trunk to sway slightly.